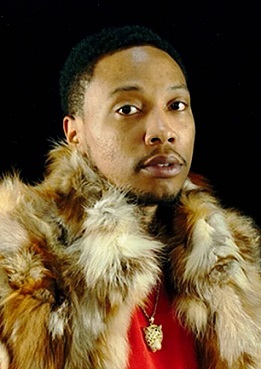 Obituary for Montae Da'Ron Shackleford | House of Wheat Funeral Home, Inc.
SHACKLEFORD, Montáe Da’Ron “Eno”, born September 6, 1989 in Dayton, passed away unexpectedly August 9, 2018 in Columbus, OH. He attended Dunbar High School and received a certificate in HVAC. Preceded in death by great grandparents, Thaddius and Margene Wright; cousin, Tavion Wallace. He leaves to cherish his memory, mother, Penny Shackleford; father, Brian Richardson; stepfather, Jerry Reece; maternal grandmother, Annette Woods; daughter, MaFareah Shackleford; an unborn son; sister, Alexis Reece; brother, Quan (Katie) Shackleford; nephew, Jayden; nieces, Aubrey and Kinsley Shackleford; special uncle, Junior; special cousin, Annie; a host of family and friends. Service 11 am Friday, August 17, 2018 at Greater Love Christian Church, 2345 Lakeview Ave. Visitation 9-11 am. Family will receive friends 10-11 am. Interment Jeffersonview Cemetery. Arrangements entrusted to House of Wheat Funeral Home, Inc.